A little light will keep this African violet happy for years to come. Maybe it will keep that special someone happy for just as long. 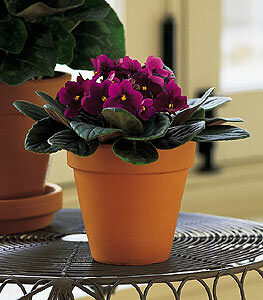 One purple African violet arrives in a terra-cotta pot. This item may not be available for same day delivery in all areas.